Yadagirigutta Temple is the abode of Sri Lakshmi Narasimha Swamy. The main deity of this temple is incarnation of Lord Maha Vishnu. The temple is located at a distance of 60KM from Hyderabad in Nalgonda District, Andhrapradesh, India. The Main Festival of the temple is Sri Lakshmi Narasimha Swamy Annual Brahmotsavams. Srivari Brahmotsavams will be commenced on Palguna Sudda Thadiya with Dwajarohanam and will be concluded on Palguna Suddha Dwadasi for a period of 11 days in every year. 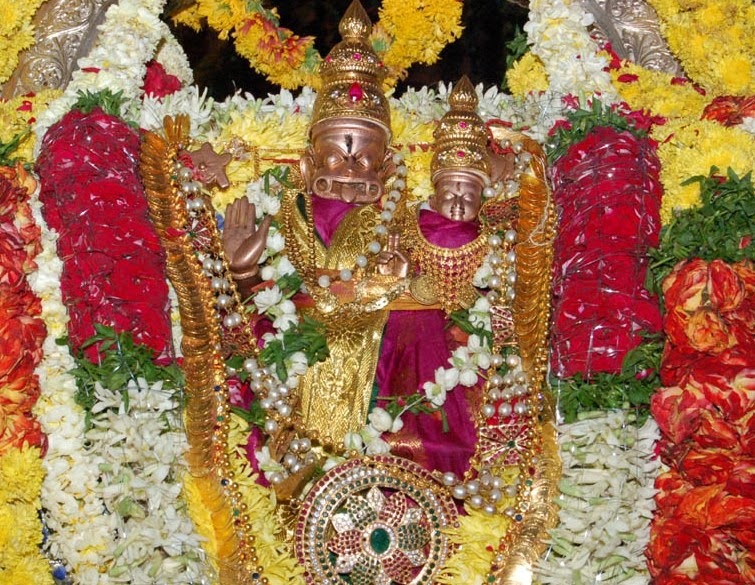 In this year 2014, Sri Lakshmi Narasimha Swamy annual brahmotsavam festival will be celebrated from March 3, 2014 (Monday) to March 13, 2014 (Thursday). During Brahmotsavam among all the days , the day on which the Kalyanotsavam is the most prominent event. During this day as per the temple traditions, Governement of Andhrapradesh presents Silk Clothes and Pearls to Lord Sri Lakshmi Narasimha Swamy. The important traditional event during brahmotsavam is Dharmika Sangeetha Sahitya Sabulu. It has been celebrating since Five Decades during Brahmotsavam during every year. In this event pilgrims can enjoy the devotional music, Harikathas, Speeches, Traditional Music, Traditional Dances like Bharathanayam & Kuchipudi , Dramas and much more.